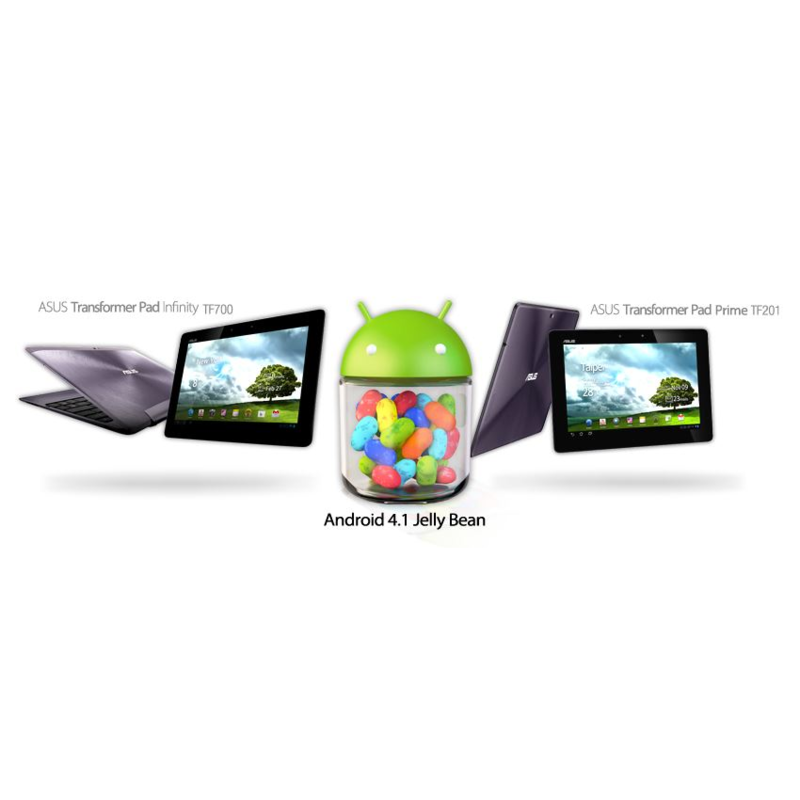 When ASUS announced the Jelly Bean update for the Transformer Prime in Sweden yesterday, there were two questions that immediately popped up: what about the rest of the world? and when will the Infinity get updated? We now have answers to both, even if in the simplest of terms: soon. Update: ASUS rep Gary Key took to the XDA forums to give users a better timeline of when the updates should begin rolling out. According to his post, the OTAs should start hitting within 72 hours. Nice. 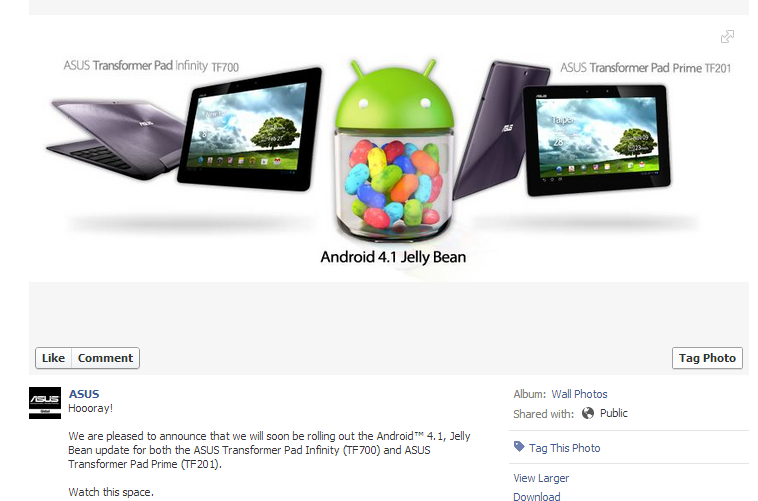 ASUS posted today on its Facebook page that the JB update would be coming to the Prime and Infinity and for users to "watch this space." There's no exact word when the updates will begin rolling out, but the last time they publicly teased an OTA, it started rolling out a mere 12 hours later. Let's hope they do the same this go around. HTC One X+ For T-Mobile Shows Up On Blurrycam, But Is It Just Giving False Hope?